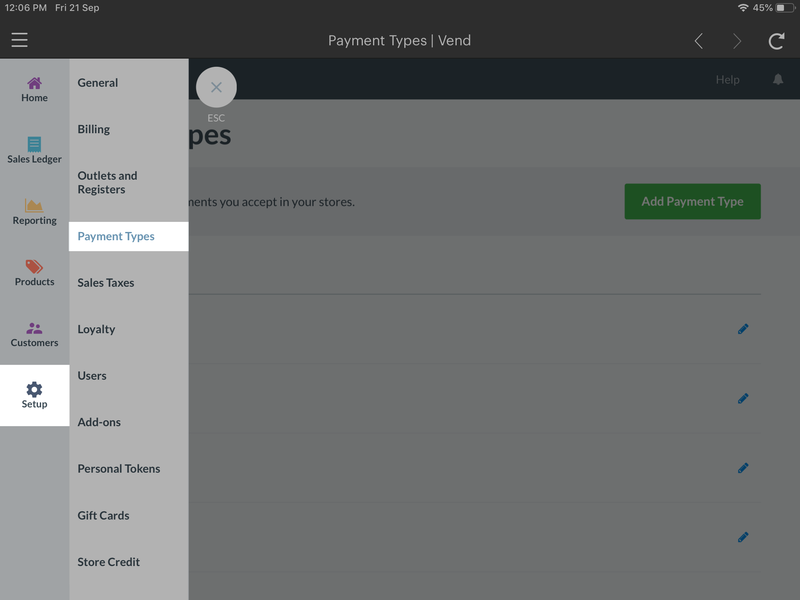 Taking Payments with Yoco and Vend on iPad – How can we help? 1. Navigate to Dashboard in the top left menu and click the Menu button. 2. Once here, tap Setup in the side menu and select Payment Type. 3. On the Payments screen, tap the Add Payment Type button and select Yoco from the Payment Type dropdown. 4. On the next page, you may rename your payment type if you wish to do so. 5. Scroll to the Pair Card Readers section and follow the onscreen configuration steps. 6. When you've done this, tap the Save Payment Type button. 1. Tap the top menu icon and navigate to Hardware. 2. Once here, tap the Login to Yoco button and enter your email address/mobile number and password associated with your Yoco account. 3. 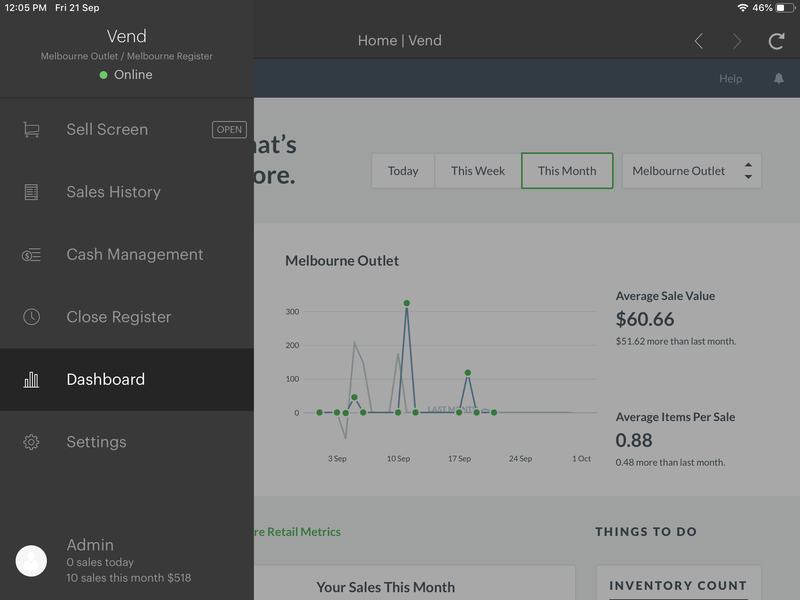 Next, exit the Vend app and navigate to the Settings app on your iPad. Hold down the small Bluetooth button on the top right of the terminal for a few seconds then, under Bluetooth on your iPad, tap on your Yoco terminal from the list of Bluetooth devices. This should be named Miura. 4. You will receive a pairing request on your iPad, click pair to begin the pairing process. 5. Your terminal should be showing an X to the left of the screen and a Tick to the right. Click the green tick button on the terminal to complete the pairing process. 6. 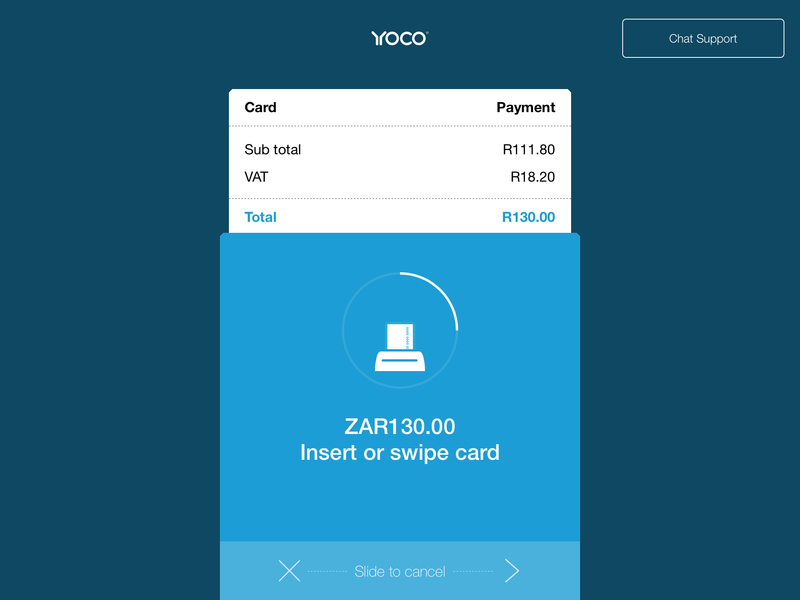 Your Yoco terminal should now be ready to take payments with Vend. Navigate back to your Vend app and process a sale under Yoco to try it out!